In wonderful full color, these bold cardigans are simply beautiful. 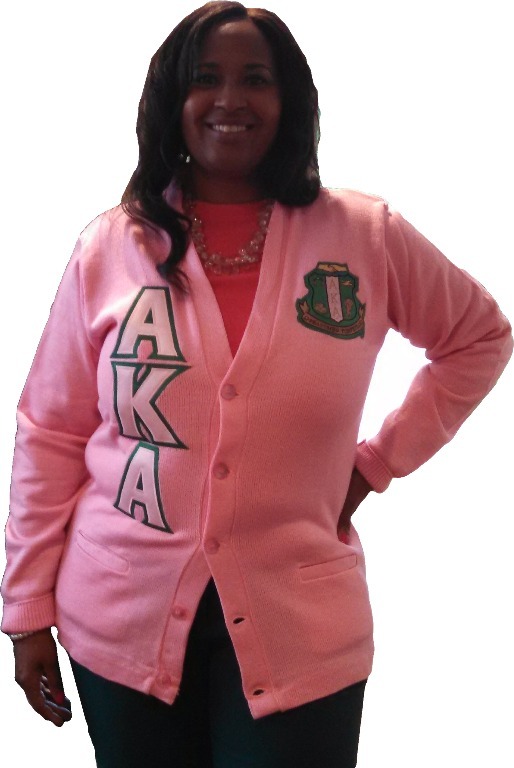 They feature your twill stitched-on letters and fully embroidered sorority crest. Choose a pink, dark green, white or black cardigan.